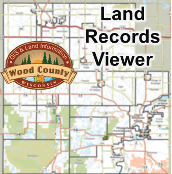 The Wood County Land Information Office offers various maps, land records, and datasets online. Wood County aerial photography, parcels, FEMA floodplains, Wis. DNR wetlands, PLSS (Public Land Survey System) and much more. Wood County's portal for open GIS data. Wood County's portal for surveyor-specific GIS data. These sites are provided by cities in Wood County. GIS maps and data for the City of Wisconsin Rapids. GIS maps and data for the City of Marshfield. Most of Wood County’s basic services rely on accurate and up to date land information. Services such as emergency management, e911 dispatch, land conservation, resource management, planning, code enforcement and economic development rely on efficient access to land information. Information about addresses, parcels, roads, aerial photography, floodplains, wetlands, public land survey and many others are critical for efficient services. Citizens and businesses also benefit from online access to land information by reducing trips to the courthouse, saving time and money.